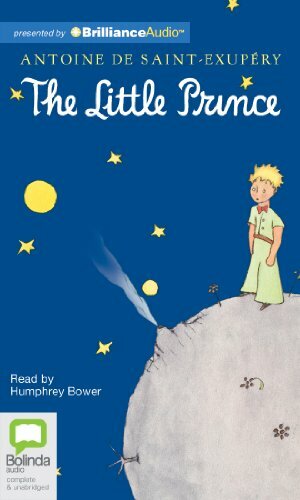 Little Prince was written by Antoine De Saint-Exupery. Little Prince was published by Egmont Children's Books. 9/6/2011 Francesca Amari Sajtar said: One of my favorite books of all time. 1/21/2011 Theresa Smythe said: I never "got" this book until I was an adult--now I think it's just about the best thing ever written. 9/24/2010 Kurt Frenier said: One of the all time favorite. What a joy to read it as an adult !! 8/20/2010 Judith Bascones Lejter said: I loved when I read it for the first time. 7/28/2010 Sara Yasmin Khan said: Haunting and gently powerful. I love the little prince! 7/15/2009 Marie Paris said: A classic. Deep and beautifully written. I have read it many times and did many projects in diverse classes with this book. 6/11/2009 TS Rogers said: A classic masterpiece. 10/9/2008 Rooster Morris said: One of my favorites. 7/7/2008 Harry Huberty said: My all-time favorite. I strongly prefer the translation of the 1968 edition to the more recent edition. 3/3/2008 Jacey Writes said: I love having this book on the shelf, there are passages I like to read when I'm in a certain mood. Draw me a box for my sheep. 2/15/2008 Lilly Fluger said: I love the elephant in the boa constrictor picture as well as the entire story. It is pure magic.